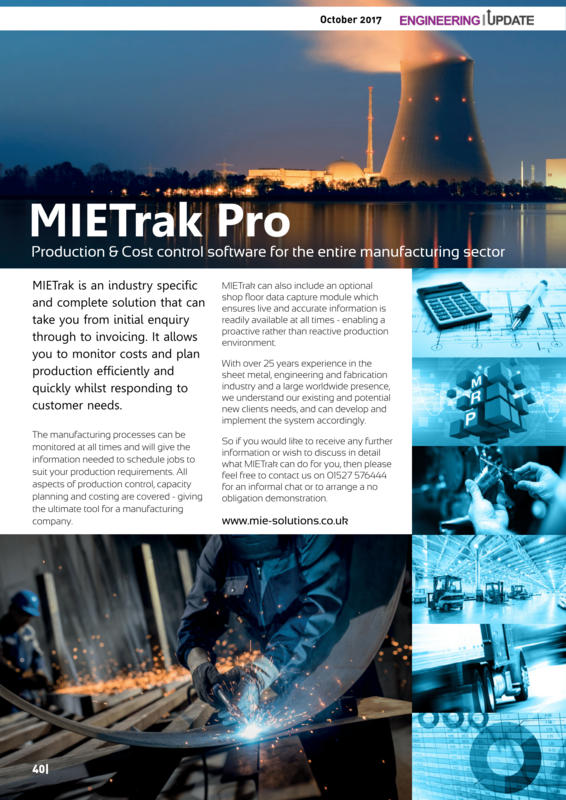 Check out our latest update in the October issue of Engineering Update, where we give a brief overview of the capabilities of MIETrak Pro and show you how it can ensure the continued success of you business. 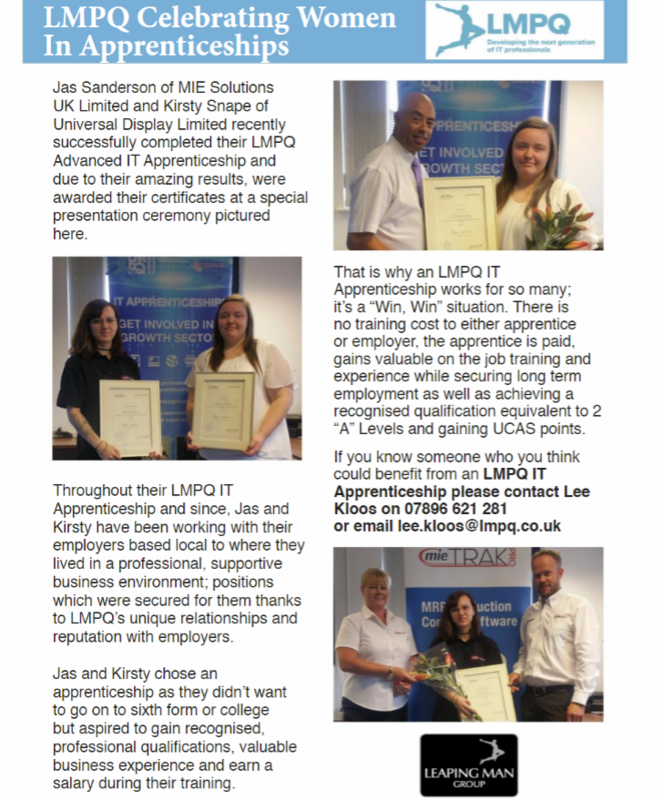 Congratulations to Jasmine Sanderson, Technical Support Engineer at MIE Solutions who has successfully completed her Advanced IT Apprenticeship from LMPQ with outstanding achievement and progress. Jasmine was presented with her certificate by her trainer Ivan Campbell of LMPQ, alongside directors Sam Hawkes and Chris Mann of MIE Solutions UK during a recent ceremony.